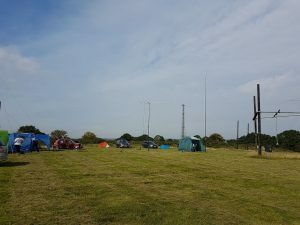 This article is the first in a series based on John Mulye’s G0VEH original document that detailed the various thoughts and ideas that were recommended in order to both enjoy and succeed in a portable amateur radio activation. What is going portable: Well let’s have a definition, so we are starting from the same point. 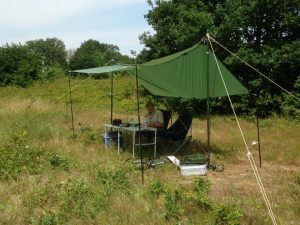 I define ‘portable’ as ‘the erecting, operating and maintenance of a station in the field for a period of time, using independent power sources and being self-sufficient’. This includes food, water shelter etc, in fact everything to make the exercise comfortable and enjoyable. This may seem like a major expedition but it is really all down to PLANNING and PREPARATION. Remember there is nothing without effort. 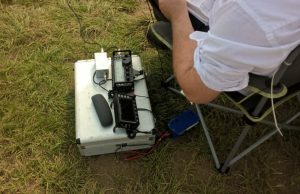 It is now easier than ever to be portable, with smaller and more efficient radios and power sources. 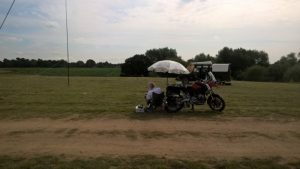 Portable can vary from the simple handportable operated from a local high spot, through to a fairly simple vehicle operation parked up to a full blown Field Weekend. Several examples are shown below. 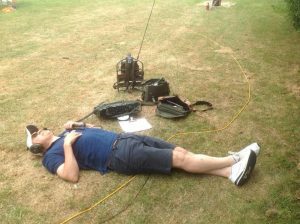 John was operating on 40M with a Operation here was on 80M through to 2M simple doublet and IC706 running 50W. 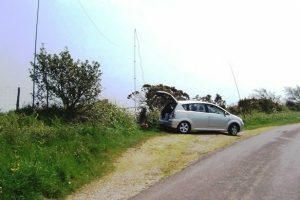 with aerials varying from a dipole through to four element HF beams and 400W. Before going portable a few questions need to be asked and answered. Why are we going portable? What kit have I got? We all have our reasons for going portable so know yours, DEFINE THE AIM. This will determine the type of kit and equipment you take. Remember the more bands, the more modes the more kit. Do not be over ambitious as this will lead to disappointment. Start modestly and grow as you gain experience. Planning and Preparation Prevent a Poor Performance. Also known as the 5P’s and will often be referred to. This is a state of mind rather than an intellectual exercise and is a required skill in most of life rather than just amateur radio. It is also known as belt and braces organisation, either way it is very necessary. So where do we start? Firstly I would suggest make a comprehensive check list of everything you think you need. 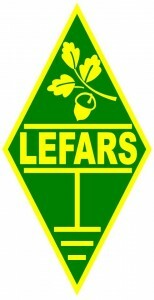 Transceiver, ATU and Power supply. Brew kit, stove, water and food. Next month I will look at the range of equipment, power sources and aerials that are available now.